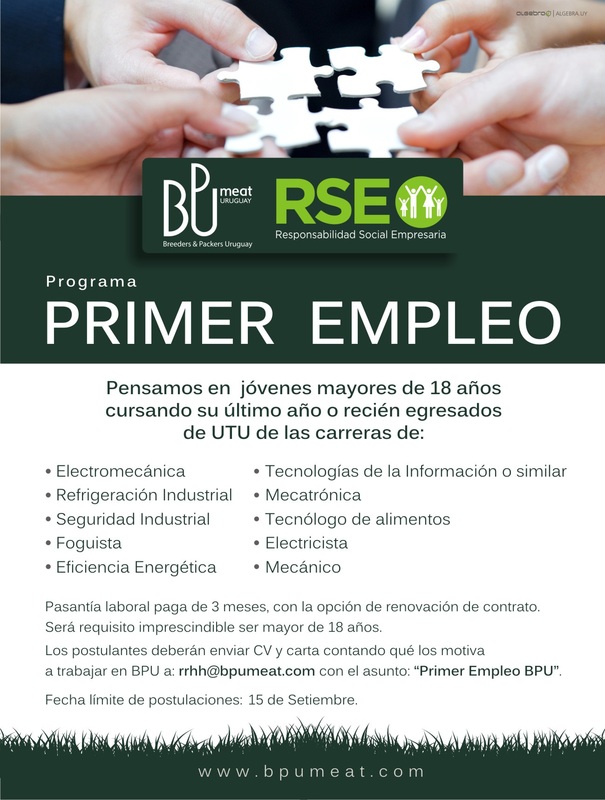 During the second half of the year, BPU will select students from UTU and/or UTEC who are studying different careers, in order to offer them a paid internship on the company as their first job. Once it is finished, a job contract may be signed, in case that both sides agree. Spreading throughout the community of the call for the “First Job” program. Meetings with teachers and informative talks at education centres. During these months, letters from students interested in participating in the program will be received. The internships will take place from August to October (they will last three months). In order to recruit the students, the company will arrange meetings with the institutes’ board of directors and teachers. What will be considered for the selection? Academic record (the school director will be asked about the student once the preselection is done). The staff needed by the company.